Melt together the butter, 1 1/3 cups of chocolate chips, and unsweetened chocolate on top of a double boiler. While this is melting grease and flour a 9 X 13 glass baking pan. After the ingredients have melted cool slightly. In a new bowl stir together the eggs, vanilla, and sugar. Pour the warm chocolate mixture into the egg mixture. Allow this mixture to cool. Pour this into the chocolate mixture. Toss the chocolate chips in a bowl with one tablespoon of flour to coat. 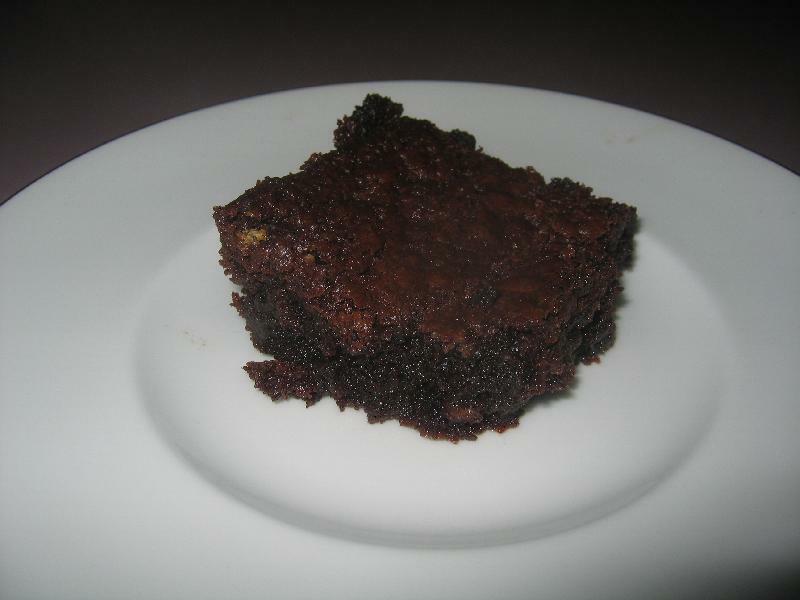 Description: A decadant brownies that will leave you wanting seconds!